Can Anyone Deposit Into Your Savings Account? Legally, nothing prevents someone else from depositing money into your savings account. However, many banks have rules in place that limit the ability of other people to deposit money into your account. Banks impose these rules in an effort to prevent fraudsters from finding out your account information during the process of making a deposit. 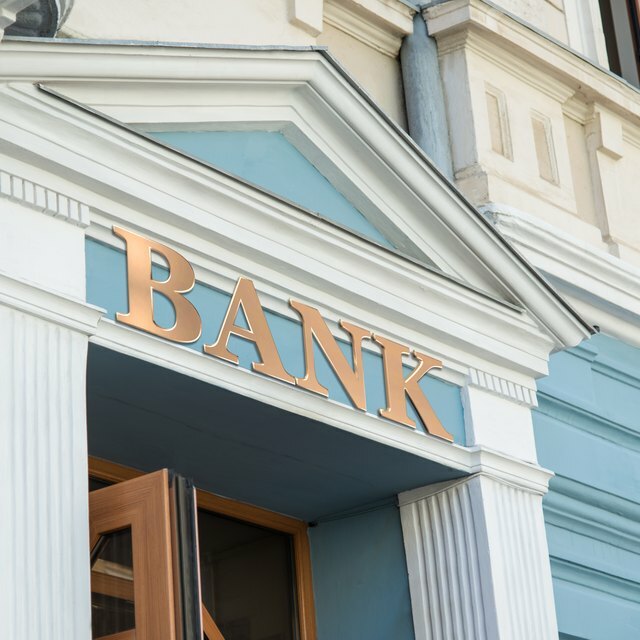 Although it is not illegal for someone else to put money in your savings account, banks often have policies that restrict who has access to your account information and who can perform transactions. Technically, you cannot deposit a check into a bank account without the check payee's endorsement. You can simply sign the back of the check or write the words "for deposit only" and sign it, but either way a valid endorsement must include the payee's signature. You can only deposit someone else's check into your account if both you and the original payee sign the check and the payee writes "pay to the order of" and lists your name on the back of the check. In theory, this means that no one can deposit a check into your savings account unless you have signed the check. However, banks often fail to enforce endorsement rules, and people sometimes manage to deposit checks that have not been signed. This makes it easier for someone else to deposit money into your account. Privacy laws prevent banks from sharing your personal information or account details with other individuals. In most instances, other people can only deposit money into your savings account if they can provide the bank with your account number. Many banks only accept deposits from third parties if the person making the deposit has one of your pre-printed deposit slips. Some banks will allow other people to make deposits into your account without this information as long as a bank employee can locate your account based on the information that the depositor provides. However, bank employees must mail the receipt to you rather than give the receipt to the depositor. Bank employees have to complete a Large Currency Transaction Report whenever an individual conducts transactions that involve more than $10,000 of cash within a 24-hour period. The report lists personal information about both the person receiving the cash and the person conducting the transaction. Another individual could not make a $10,000 deposit into your account without being able to provide the bank with your name, date of birth, Social Security number and other requested information. This makes it difficult for someone other than a close friend or relative to make a big cash deposit into your account. The federal government uses LCTRs to track money laundering and terrorist activities. Can I Deposit a Paper Check Though an ATM to a Prepaid Debit Card? How Can Crooks Use My Debit Card Number Without Having the Card? If you cannot physically get to the bank, then rules related to third party deposits could prove problematic. However, these rules are designed to protect you and your bank from loss. If someone deposits a check into your account and that check bounces, then your bank can debit your account for the amount of the check and assess penalty fees. If your bank shared your account number with other people, then those individuals could later attempt to use that information to extract funds from the account without your permission. If you need someone to transact on your account, then you should write a durable power of attorney (POA), which names someone as your agent who can legally conduct transactions on your behalf.